In early 2017 I won the lottery - well my equivalent. 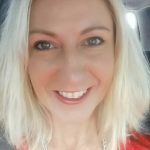 I won an 8-week Coaching package with Justine. It came at the exact moment I needed it. 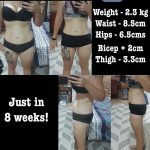 I had hit a roadblock in my weight loss and I needed to learn the realities "In vs. Out” During my 8 weeks with Justine I didn't just lose a few kgs, I lost centimetres - from the right places and more importantly I gained knowledge of nutrition, my body and exercise that set me up for the entire year. By December 2017 I was down to 26% body fat, still following a flexible diet and I had increased my strength beyond anything I thought possible. Justine's approach, knowledge and "lead by example" attitude are second to none and I am so thankful I had the opportunity to learn from her. I have been training with Justine for about 6 months. The results I have achieved in this short time have been great. Justine has helped me with not just my training but also my approach to my food and has given me so much more confidence in myself. I'm so much more positive and once again I feel great inside and out. I highly recommend her... thank you Justine you’re the best!!!! I have been training under Justine at the The Life Factory for 4 months now and am very impressed with everything Justine has done for me. She is excellent at listening to my needs and helping me achieve my goals both with my nutrition and fitness. Justine is excellent at inspiring me to go the extra mile and I am amazed at what I have achieved under her guidance. I met Justine in a time in my life where I knew better, needed better but had lost my direction. After coming to terms with losing my parents, I sought help to heal my mind. I met Justine to help heal my body and get my fitness back but what I found so was much more. From day one, she opened up about her struggles and how hard she fought for where she was now and I looked into her eyes and saw me looking back. This would begin a journey with Justine that I will forever treasure and take strength from. Her raw truth, honestly and determination is why I train with her. She hasn’t fixed me, but she gave me all the tools to fix myself and for that I am deeply grateful. I have a long journey ahead of me but Justine will be a part of it. We have cried in each other’s arms on my driveway at 5am among the weights and she has arrived on my doorstep in friendship with a hug when I was unhugable. Justine is not just a PERSONAL trainer. She is a friend, a shoulder to cry on and a damn great inspiration. Working with Justine has totally reset my life. 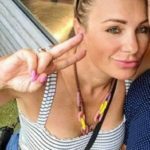 A mum of 4 and business owner, I was stressed to my eye balls and leaning on unhealthy crutches to get me through each day. Not living, merely surviving…just. 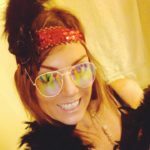 By following Justine’s nutrition and exercise program, I completely overhauled not only my physical appearance, but my mental health and inner soul. I am a totally different person to when I started this program in January and I cannot thank her enough. I have a new zest for life; my anxiety barely rears its ugly head anymore, my confidence has soared, I’m far more productive on the job and most importantly, a more present mother and wife. The benefits go FAR beyond the amazing aesthetic changes you will notice! Unhealthy choices can be reversed (don’t ever think it’s too late) with Justine’s very personable programs and commitment to you via weekly check ins and mentoring. Cannot recommend her highly enough! Justine is truly an amazing person who has helped me so much. I think of her as an angel sent from above. After years of low calorie diets, under eating, drinking too much wine, and endless exercise I have now finally found a method that works for me thanks to Justine. Not only have I lost over 6kg in 3 months, my body composition has changed so much I don’t even recognise myself. I am so truly happy, it brings tears to my eyes. 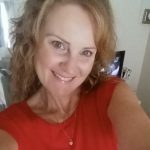 Hi Justine, I would just like to take this opportunity to thank you for the past 12 weeks, Your 12 week VIP program has been absolutely amazing , you have not only been a great support but you have opened my eyes to flexibility with my food. Justine , your honesty and openness with your own struggles is what separates you from other coaches as you are real and you are so relatable and I thank you for that as this is what sets you apart as a great coach. Thank you for listening to me and being my accountability as I need to be accountable. 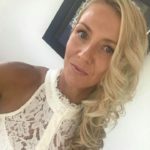 If you are looking for a a coach that ticks all the boxes than Justine is for you, if real long term results are what you are looking I cant recommend Justine more highly , she is absolutely amazing, do your self a favour and jump on TLF team I promise you you wont be disappointed , you have nothing to lose and everything to gain. Thank you Justine you truly have changed my thought process.